Before making any purchase decision on any web hosting, it’s best to have your questions and doubts answered. Seeing such, I decided to cover some answers for the frequent asked questions on several web hosts that I’m currently testing. For start, we’ll go with Lunarpages. Lunarpages was born from Add2Net in 2000, and the company continues to be managed by Ron Riddle. The company operates in One Wilshire and Las Vegas and comprises more than 2500 fully-owned servers. At the time of writing, they are currently serving over 150,000 customers in over 200 countries. Lunarpages is one of my favorite hosting services. The company is “A” rated in my book and I’d selected the web host as the Best Multi Domain Hosting. How much bandwidth and disk storage do I get from Lunarpages? 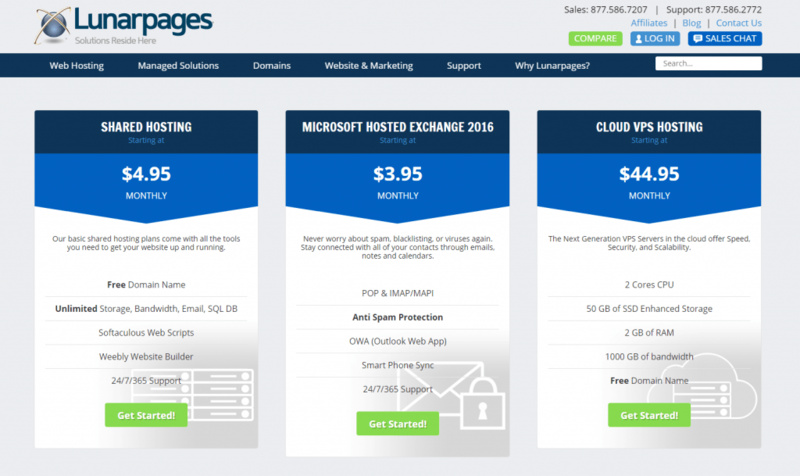 Lunarpages shared hosting package offers unlimited bandwidth and disk storage. Yes, Fantastico is included in most Lunarpages hosting plans. You can install tons of open source web application (For instance: Joomla, Drupal, WordPress, B2Evelotion, Gallery) in just a few clicks. Yes, I had been hosting websites with Lunarpages for years and am happy with their service; in fact, Lunarpages is one of my top recommendation. Lunarpages is overselling, how do you find the services? Nowadays, overselling is like norms in hosting industry. Although some webmasters are against the business concept but I’m fine with it as long as my websites are working alright. It’s been a while since Lunarpages upgraded their hosting offer to ‘unlimited’ but I do not encounter any hosting difficulties so far. Thus I guess the folks at LP are managing the servers well. Can I host adult websites at Lunarpages? Yes, adult website is allowed at Lunarpages. The company has no restrictions upon content of your website as long as it is legal as defined by California law. Can I get SSH access in Lunarpages shared hosting plan? Yes, SSH access is allowed with Lunarpages hosting plan. SSH access with Lunarpages dedicated hosting plan is turned on without any extra work or payment; shared hosting plan, on the other hand, requires extra charges ($2.00/mo). Does Lunarpages allow bulk mail? No, unsolicited bulk emails are not allowed with all Lunarpages accounts.